Haters. There will be haters. 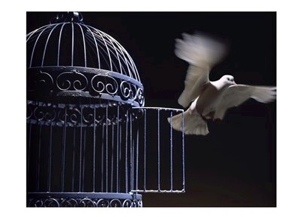 The Spirit is free to never be caged by insults, by slander, by the prison of pain. The Holy Spirit in you and in me is a wide-open skyway, able to fly with fire and the love of our Creator. which are only other words for wings.